Trevor White is a personal injury and criminal defense attorney who was born and raised in Anderson, South Carolina. Trevor returned to Anderson and the firm in 2012 after attending law school in Florida. He is also a proud graduate of Clemson University. Trevor assists clients in all types of personal injury matters, automobile and trucking accidents, slip and fall injuries, false arrest, false imprisonment, product liability, and various other personal injury cases. Additionally, Trevor is an aggressive advocate for clients accused of crimes, including all types of misdemeanors and felonies. In his spare time, Trevor enjoys coaching youth sports, spending time with his wife and daughter, and playing golf. Trevor is also an avid Clemson football fan. 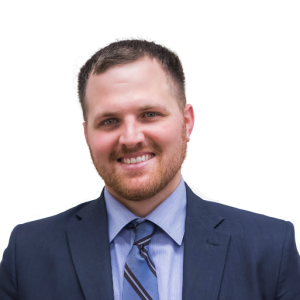 Trevor is licensed to practice law in all state and federal courts in South Carolina. Trevor is a member of the Million Dollar Advocate forum, and has obtained millions of dollars in settlements for his clients. Trevor can be contacted by telephone at (864) 231-8090 or by email at trevor@wdwlawfirm.com.